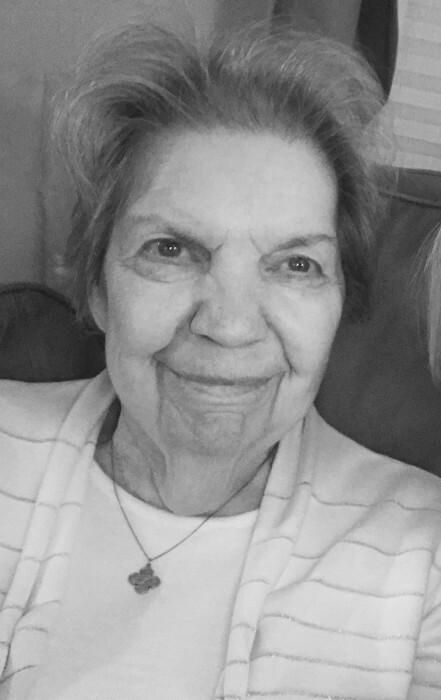 Northfield – Mrs. Lorraine M. (Gelinas) Ledoux, 83, passed away peacefully on Tuesday morning, February 12, at Masonicare in Wallingford. She was the wife of Paul B. Ledoux. Mrs. Ledoux was born March 20, 1935 in South Norwalk. She retired from the Homet Co. in Winsted and loved going on long rides and traveling with Paul to Pennsylvania, Maine and Canada. When she was no longer able to travel, she took great pleasure in watching her four great grandsons play, swim and build puzzles. She will be remembered most fondly for the beautiful table cloths and doilies she crocheted. In addition to her husband of 64 years, she is survived by a son, Marc A. Ledoux, Sr. of Torrington; a daughter, Debra L. Farslow and her husband Michael of Bristol; one sister, Pauline Gelinas of Norwalk; four grandchildren, Erika and (Dave) Sacharko, Kieran Farslow, Kaitlin and (Mike) Baum and Marc Ledoux, Jr. and four great grandsons Owen and Oliver Sacharko and Lucas and Liam Baum. She was predeceased by her parents, Joseph and Beatrice Gelinas, her brother Jill Gelinas and three sisters, Jeanne St. Onge, Renee Nice and Gisele Gelinas. The family of Lorraine would like to extend their appreciation to the staff of Connecticut Community Care and Masonicare for their care and support of Lorraine and her family.